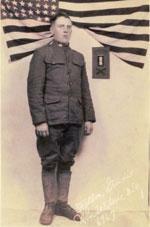 2/11/1919 4th CO. Engineers New York until discharge. 2/11/1919 Basic training at Camp Sherman, Ohio. Edward is second to the right. 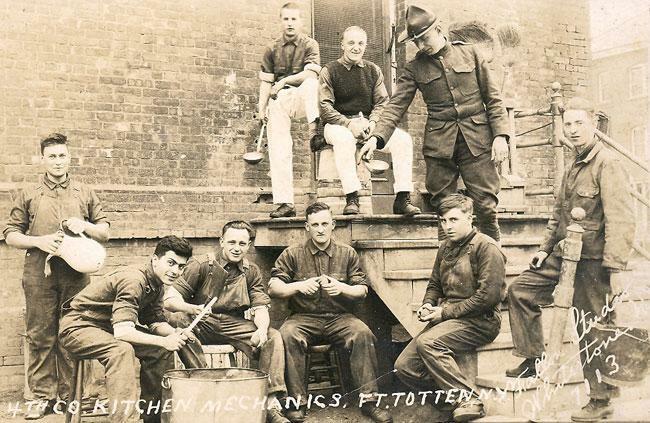 This is a picture of 4th company kitchen mechanics Ft. Totten, New York.